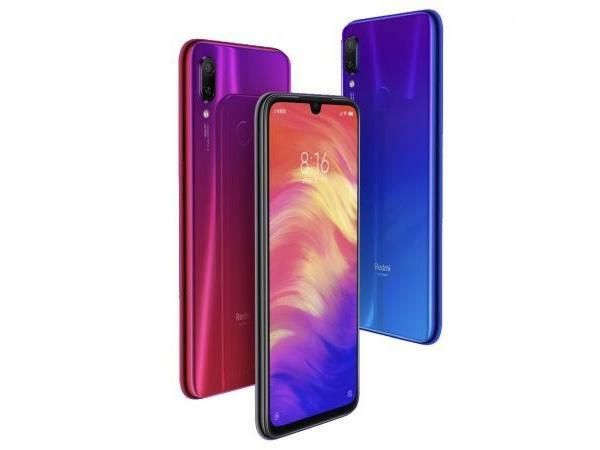 The website is offering discounts and deals on Redmi Note 6 Pro, Redmi Note 5 Pro, Redmi Y2, Redmi 6 and Poco F1. Xiaomi and Flipkart have teamed up and launched the ‘I Love Mi’ days on the e-commerce website. The sale event has already kick-started and will end on February 13, so interested customers will have to act quickly to buy devices. The website is offering discounts and deals on Redmi Note 6 Pro, Redmi Note 5 Pro, Redmi Y2, Redmi 6 and Poco F1. That’s not all, Flipkart is also offering discounts on other Xiaomi products, including Mi TVs, Mi Band, Mi speakers among others. To begin with, buyers interested in buying the Redmi Note 6 Pro, can get it for Rs 12,999 for the 4GB RAM and 64GB storage variant. It is originally priced at Rs 15,999. One can also purchase the larger 6GB RAM/64GB variant for Rs 14,999. The Redmi Y2 is available for Rs 7,999 for the base 3GB/32GB variant, Rs 9,999 for the 4GB/64GB variant and Rs 12,999 for the 6GB/64GB configuration. In addition, one can also get an extra Rs 1,000 off on exchange of an old device. If you’re planning to buy a Poco F1, then this could be the time to purchase. The device, which is built around a Qualcomm Snapdragon 845 chipset, is available at a discounted price of Rs 17,999 as part of this sale. The 6GB/128GB configuration can be purchased for Rs 20,999, while the 8GB RAM +256GB storage variant for Rs 24,999. Customers can get up to Rs 3,000 discount on the Poco F1. If you are interested in buying the wallet-friendly Redmi 6, you can get it for Rs 7,999 for the 3GB of RAM and 32GB of internal storage variant. The smartphone was launched with a price label of Rs 8,499. One can get the 3GB/64GB configuration for Rs 8,499. The Redmi Note 5 Pro is also available for Rs 12,999 for the 6GB RAM and 64GB storage model. It was earlier available for Rs 16,999. Moving ahead, the e-commerce giant is also offering discounts on four TVs, including Mi TV 4A Pro, Mi TV 4 Pro, Mi TV 4X Pro and Mi LED smart TV 4A. Xiaomi’s Mi Band is also available at a discounted price of Rs 1,299. Flipkart is also offering discounts on Xiaomi Mi Speakers, Mi earphones, Mi power banks and other Mi accessories.